Looking to star in your very own relaxation commercial? Look no further, Hana Maui has a place for you. On Maui’s northeastern coast, Hana is still a smaller fishing town where time moves slowly, the ocean breeze is constant, and beautiful sights abound. This picture shows a well-manicured lawn at one of the only hotels in town. Accented by bright colors and a focal point of chairs, one cannot help but think about taking it easy. Everyone who visits Hana should stay for a night at this beautiful hotel. For those who just don’t have the time and are in town for just a day should definitely do a drive-by. 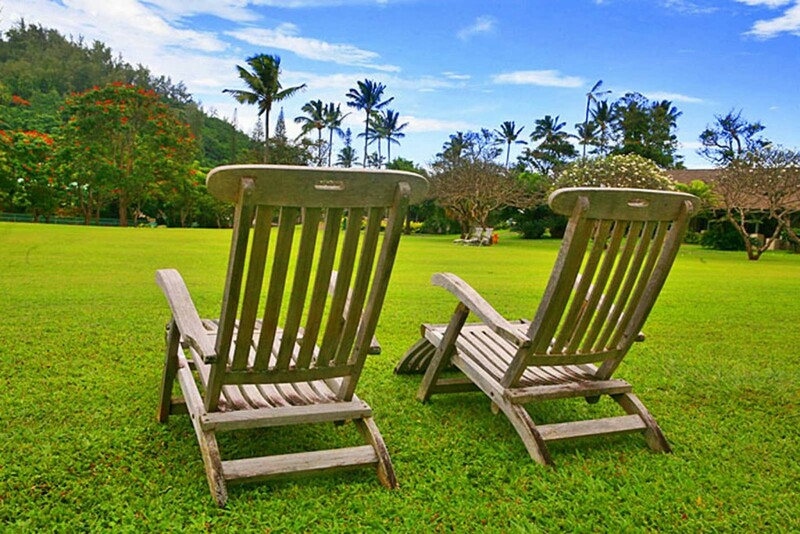 Just being in Hana brings a sense of relaxation not found anywhere else on the island. Learn more about the Hana Hotel on one of Valley Isle Excursions Road to Hana Tours.